Frankfurt - Freshly-crowned Bundesliga champions FC Bayern Munich will officially take possession of the championship plate after their final home game of the season, the Deutsche Fußball Liga DFL have announced. League Association president Dr. Reinhard Rauball, DFL CEO Christian Seifert and COO Andreas Rettig will all be on hand for the presentation of the coveted Meisterschaleafter the Matchday 33 meeting with FC Augsburg at the Allianz Arena. 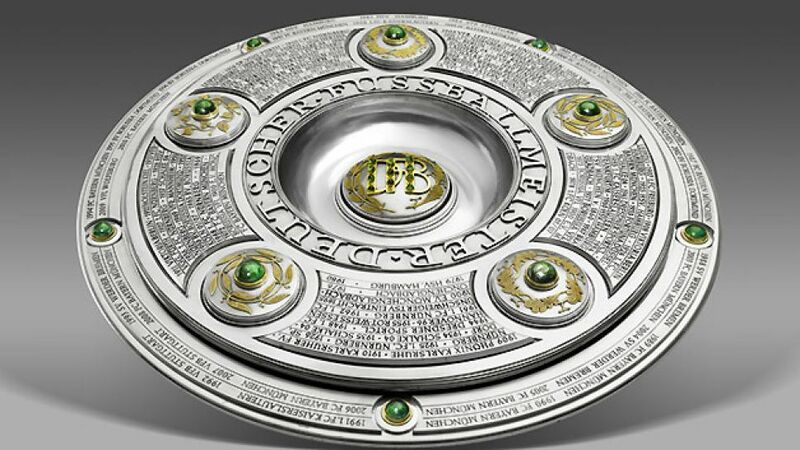 The championship plate was designed by Elisabeth Treskow in 1949 in Cologne and is inscribed with the names of every German championship-winning side, going back to VfB Leipzig in 1903. It weighs in at eleven kilos, measures just over half a metre in diameter and has an insurance value of 50,000 euro.